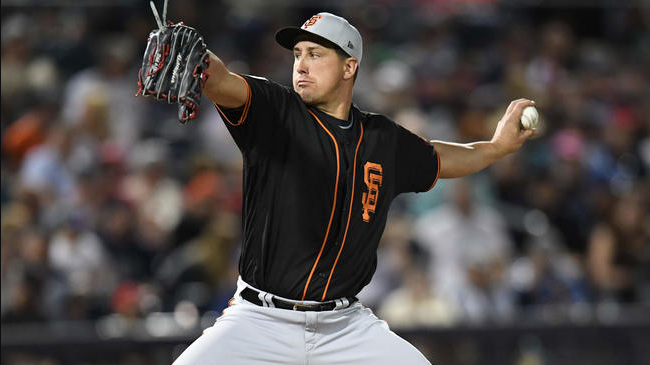 Will Derek Holland Make the 25-Man Roster? Because the Giants have off days after each of their first two series, ace Madison Bumgarner can pitch in three of the first nine games of the season. San Francisco will go nearly three weeks into the regular season without needing a true fifth starter, which will impact the way the organization constructs the 25-man roster. At the start of the season, the Giants can carry four starters and eight relief pitchers. Because both Stratton and Blach have Minor League options, the Giants could theoretically have one of those two pitchers begin the year as a starter with Triple-A Sacramento, and then call them up to the big leagues when the fifth starter’s turn in the rotation finally comes. For a team that would likely still need a long reliever, Holland is a natural fit for the role, even if he’d prefer to start. Holland has an opt out clause on March 24th which means he can bail if he is not going to make the team. He is quoted in the article that his preference is to be a starter but he would accept a long relief role. Because of the strange schedule, the Giants, as quoted above, have options regarding carrying five or four starting pitchers for the first few weeks of the 2018 campaign. So far in Spring, Holland has acquitted himself well and scouts are saying his velocity is back up close to 94 mph. In his start on Wednesday Holland pitched 3.1 solid innings allowing four hits and two walks while striking out four batters. The elephant in the room is Josh Osich. The big talented and mercurial lefty seemed at one point to be on the express train to success. But wildness and erratic outings the last two seasons have complicated his career and put the Giants in the bind to find that mysterious Jeremy Affeldt unicorn.